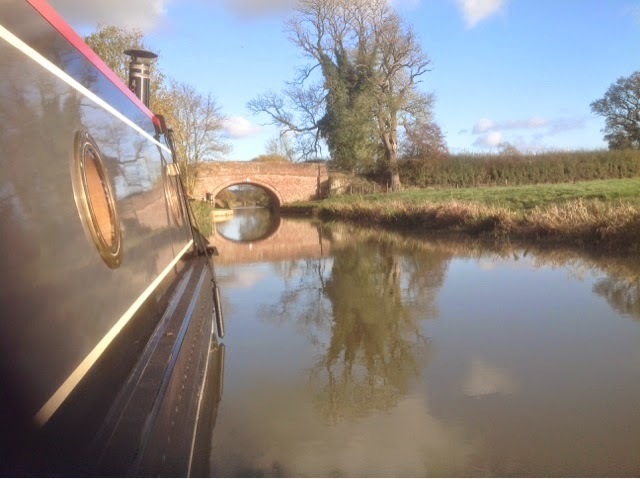 Weekly update - after spending a few days at Welford junction we returned on 31/10 to Yelvertoft marina. We are now booked in here for the winter although we will be taking regular excursions out. Friday was an admin and shopping day, so we rejoined civilisation in Daventry for a few hours. Saturday dawned and the preparations for the Halloween party were well under way. We only had a couple of hours to source suitable attire. I was most disappointed that Asda had sold out of their inflatable wings, still always next year. The evening was well attended and we had a great time, even winning a raffle prize. It was also good to make some new acquaintances who will be our neighbours for the next few months. Sunday was a day of rest, but only after helping to clear up the previous nights entertainment. 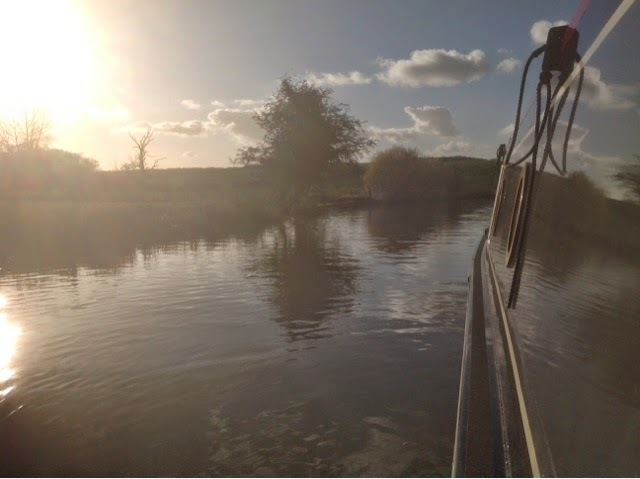 We departed the marina on Tuesday in bright sunshine and headed north, a total distance of one mile. 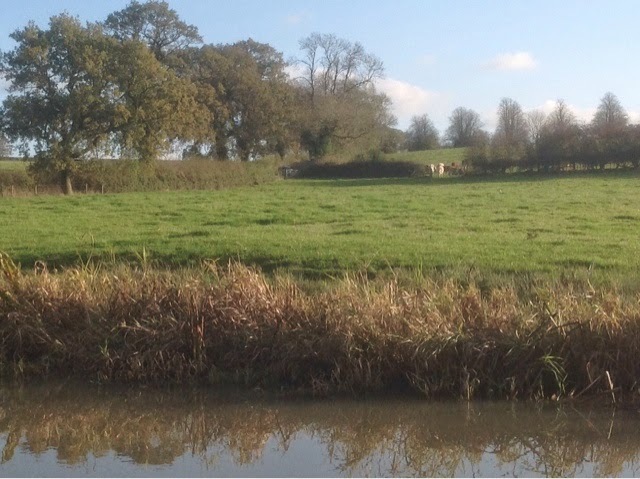 This was to be our mooring for the next few days. It has most things we need, quite, secluded, line of sight to the sky satellite, plenty of walks and close enough to the village if we really need it. Just few picitures of our garden in the sunshine. Today I received an email from the Little Chimney Company telling us that our new chimney is ready. This was good news as I was expecting it to take seven weeks to be ready. It is made from stainless steel so will not rust, and should therefore reduce the amount of rust and tar leaking onto our roof. This will require a trip back to Tamworth to collect it. We have planned to do this on Friday when we return to the marina for the weekend. The trip took us about 3 weeks in the boat, but will take about 30 minutes by car. Oscar is also in for a surprise as we have booked him into a vet we used up there for his one year booster vaccination. That's all for now.